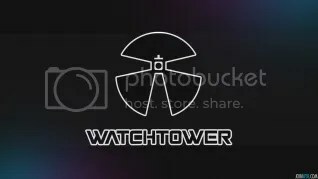 Watchtower Records are a Freeform label that have been around for a few months now. They are pushing, in their words, “…the darker, more melancholy sound of dance music while supporting charitable causes”. Their first release is a double CD album, and has been available since the end of January. It features ten unmixed, DJ friendly tracks on one disk, and a DJ mix of the same tracks on disk two – from artists such as Douglas, Endemic, A.B, Substanced, Proteus, Aryx, Lost Soul and Qygen. I’ve ordered my copy, and with only half the stock remaining, you should definitely be thinking about ordering yours very soon. You can find out where to buy the album, where to listen to album samples, and where to find out more about Watchtower Records below. To help kick things off, Watchower decided to release two free tracks. They’re fantastic, and you can hear and download them below. This entry was posted in Album Releases, Free Tracks, Freeform, Hard Dance, News, Track Releases, YouTube Videos and tagged A.B, Aryx, Douglas, Endemic, Lost Soul, Proteus, Qygen, Substanced, Transcend, Watchtower, Watchtower Records, Watchtower Vol. 1. Bookmark the permalink.